Hey lovelies! This has been a week with both work-related and personal issues. Yet, I have survived. This post is the blog review companion to my Early Fall Makeup | Soft Metallic Smoky Eye & Gilded Wine Lip video on YouTube, which is embedded at the end of this post. I will review in a bit more detail the Nanshy Fan Brush, Yoseng Oval Foundation Brush, and the YSL Forever Light Creator CC Primer. 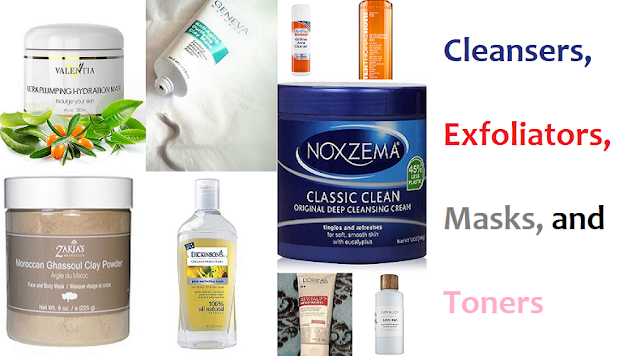 These reviews will be in the order of each product I used in the accompanying video. 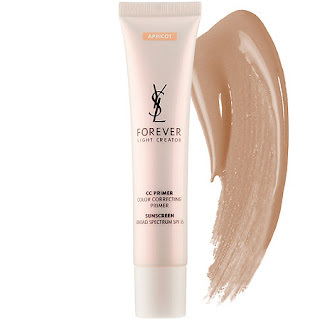 "A pigmented, lightweight primer [that] targets color and skin imperfections. Based on your skin tone, the primer color-corrects irregularities, diffusing light while improving the skin’s texture. Pores appear minimized, imperfections reduced, and your skin looks exceptionally radiant and flawless." At first I did not like how the primer applied. It did not feel lightweight to me It felt slightly heavy like many bb and CC creams feel. I will admit that I might have used a heavy hand with it because I was expecting it to be lightweight like all of the primers I've used before. It also was way light – color-wise -- on my skin. 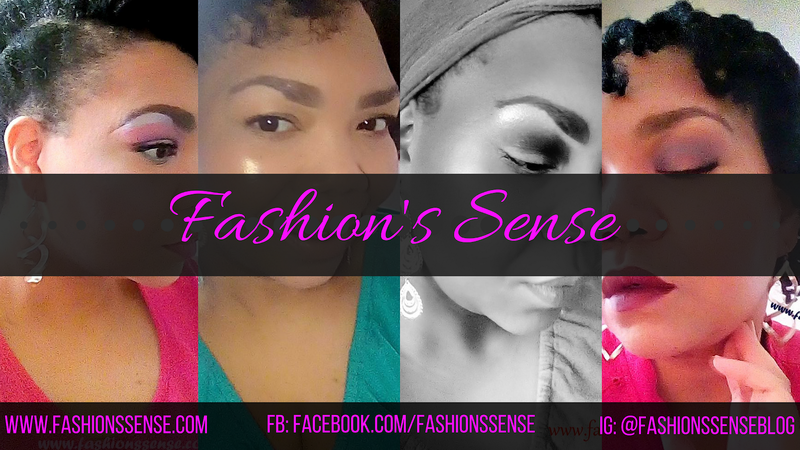 After I allowed the product to sit on my face for minute, that harsh lightness toned down. I did notice my skin was radiant. The primer also diminished the appearance of acne scarring. My pores were not as large-looking either. After seeing the final result on my skin, I can say this is not bad. If I can get another sample I will test it out again using a lighter hand to see if it makes a difference in feel. First Impression Summary: Great for minor skin discolorations and as a base for glowing skin. Use a light hand with the product because it is not as lightweight as it claims. I purchased the Yoseng Oval Foundation Brush from Amazon. I liked the look of the brush and have never used one of these toothbrush makeup brushes before. 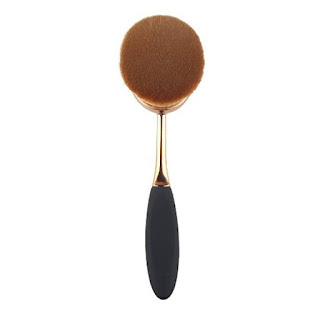 The brush is lightweight with a rubber handle and rose gold finish. The brush head is dense and soft to the touch. When applying foundation, the rose gold part felt kind of flimsy, like it could snap in two. So I had to hold the brush by the rose gold part. 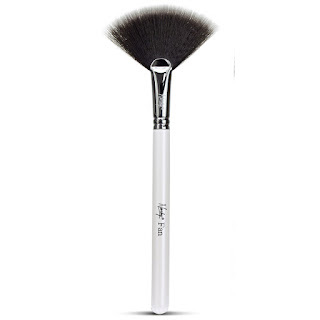 The brush does apply foundation smoothly and evenly. I have to say it does a better job of it than my favorite Eco Tools brush does. For the price, I can't complain though. First Impression Summary: A good starter tool to practice with. Just be careful not to apply too much pressure on the brush during makeup application. I have a few fan brushes. None of them are adequate for applying highlighter because the brushes are too thin. The Nanshy Fan Brush is fluffier than the other fan brushes I own and thicker. When I began using the fan brush I noticed how much color it picked up. The brush is soft against the skin. It applies highlighter beautifully. I got great results with this brush. It is not an expensive makeup brush. However, shipping on orders placed on Nanshy's website costs either $6.48 or $13.02. So the shipping sounds steep but Nanshy is based in the United Kingdom so shipping to the U.S would be higher. First Impression Summer: This is a soft, fluffy, and thicker fan brush that applies highlighter well. Expect your highlight to pop. 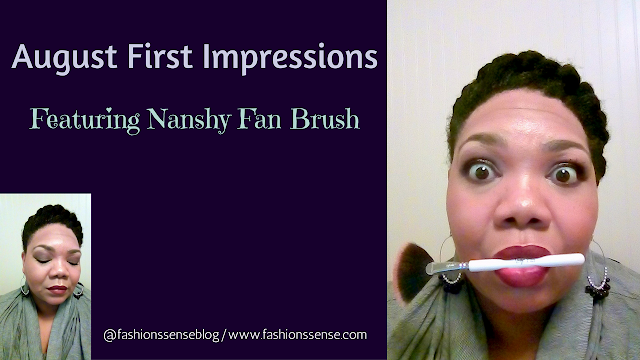 Disclosure: I received the Nanshy Fan Brush free in exchange for my honest review. All opinions expressed are 100% my own.